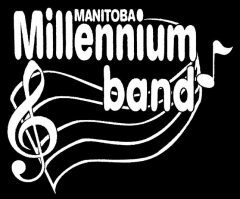 Please remember to bring a stand to all MB Millennium Band rehearsals and events! May 7, 14, 28, June 11 – Saturday mornings – We will be rehearsing at Legion #4 – St James – 1755 Portage Ave. Rehearsal will run from 10:00 am – 12:00 pm. Free parking behind the legion. NB: Use the front doors on Portage Ave and up the short flight of stairs on your left to the upper level. June – 15, 22, 29, July – 6, 20, 27, August – 17 – Wednesday evenings – We will be rehearsing at Bourkevale Community Centre – 100 Ferry Rd. Rehearsal will run from 7:00 pm – 9:00 pm. Free parking available. Rehearsal space doors will be open 30 mins before start and 30 mins after the end. Help with arranging chairs is always appreciated!